Size: Bowl 2 3/4" wide, 3 1/4" long and 1" deep (1/3 cup), overall 12 1/2"
The new Non-Scratch Soup Ladle is a long handled ladle that 12 ½ inches overall. 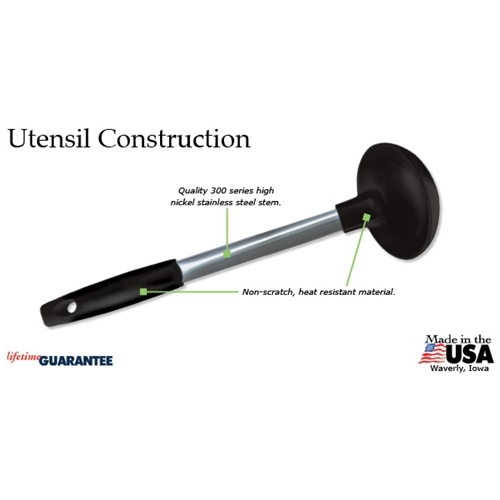 You will find this ladle is perfect for cooking and serving foods like soups, stews, gravy, spaghetti sauce, apple cider and hot chocolate. You can even use it as a punch ladle at your next party.